Anyway, I enjoy readying quite a few self-published authors, one of whom is Kristen Ashley. I can’t remember how many series and books of hers I’ve read, we’ll suffice to say–a lot. I intentionally waited on writing this review because I didn’t want it to be too tainted by the one I wrote a few weeks ago about her latest book, Own the Wind. For that book, she had a publisher and all the ‘perks’ that come with it, including professional editing. For Rock Chick, she did not. Big difference. The main character–Indy–owns a book store. She has a wild child best friend in Ally; interesting employees, including a guy named Rosie who’s on the lam for having stolen some diamonds; Lee–her gorgeous security expert/bounty hunter/surveillance professional/general badass boyfriend; and a host of other colorful characters in the form of friends, family, and bad guys that continuously shoot at and kidnap her. And while there is definitely some ‘romance’ in this book, I wouldn’t necessarily classify it as such. It’s comedic, mysterious, romantic, and generally a fun read. The book was almost 1,000 pages on my Nook, but that didn’t bother me. What did, is that the telling of the story went on forever. There were complete chapters that could’ve been eradicated. 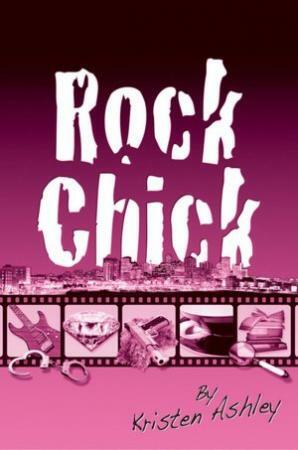 I hate to think that I’m spoiled from the 300 page book of Ms. Ashley’s that I just read, because you can clearly see that there is much fun to be had in the Rock Chick series. Only, I am hesitant to read the other books if they drag out the story lines as this one does. The characters are entertaining and you could easily settle in to read the books like you would enjoy a weekly sitcom. The question is, will I?